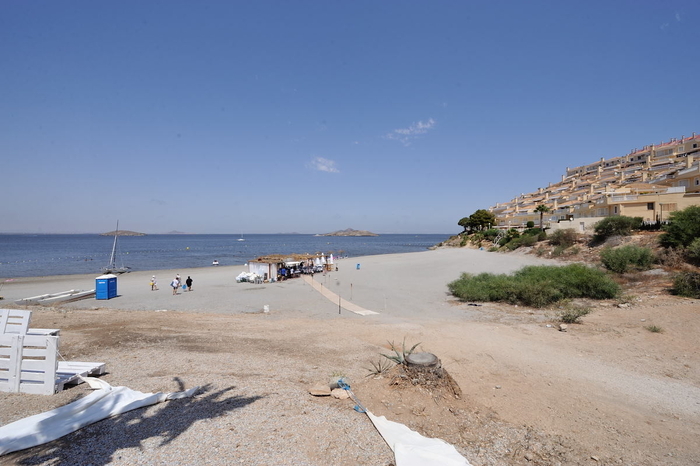 Playa de Gollerón is a beautiful little cove, tucked away in a corner of La Manga del Mar Menor and the hidden secret used mainly by those who live or own apartments in the area. 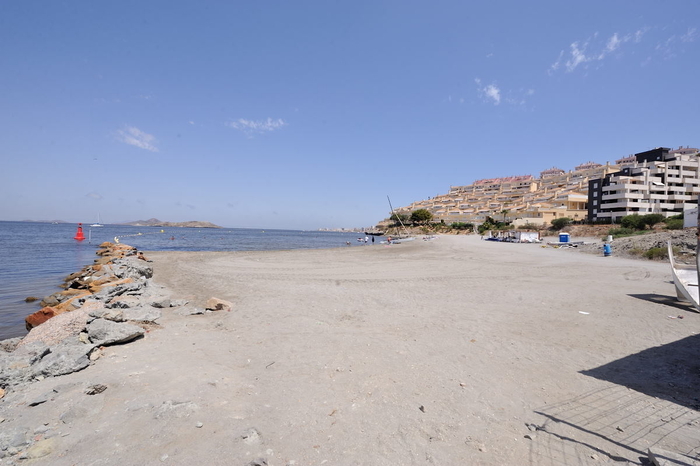 It’s not easy to find unless you know this area well, as this corner of La Manga is full of residential roads and one way systems, and there are certainly other beaches which are much easier to locate and access. That said, it’s a pretty little beach and rather non-typical of the La Manga del Mar Menor coastline, where most of the beaches are in a long, straight run. There is a reasonably sized car park leading to the beach and access is via a track requiring a short climb, before dropping down into the cove below. It’s not difficult at all, except for of with limited mobility. The beach itself is about 250 metres long and 15 wide, with fine, soft, golden sand. 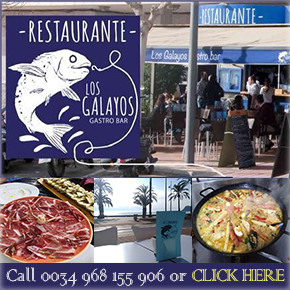 There are no services other than a very nice "chiringuito" beach bar during the summer, a wooden walkway, toilet and bins. The Mar Menor is Europe’s largest saltwater lagoon, and covers a surface area of nearly 170 square kilometres, with 70 kilometres of internal coastline, separated from the Mediterranean by a 22km long strip of land, La Manga del Mar Menor, connected to the Mediterranean via canals, feeding the Mar Menor with natural saltwater. It has shallow fringes, which slope gently, and is only 7 metres deep in the centre, so the water temperature is warmer than that of the Mediterranean, particularly around the edges where it is possible to wade out 50 metres from the shore and still only be waist deep. Murcia is the warmest mainland region in Spain, and has an average temperature of 18 degrees, which makes it perfect for year-round watersports activity and bathers can enjoy the waters of the Mar Menor for most of the year. 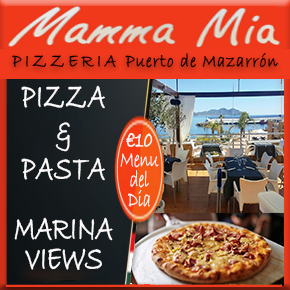 The water in the Mar Menor is not tidal and has no currents or waves, so is perfect for family bathing or watersport beginners. 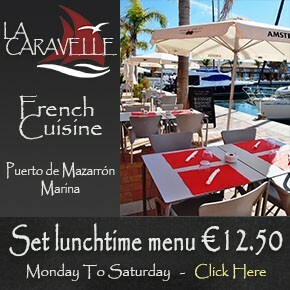 There is sometimes confusion when talking about beaches on La Manga del Mar Menor, as there are both Mar Menor beaches and Mediterranean coastal beaches on this thin strip of land, one type of beach along each side, and to make matters worse, these are divided between two different local councils, those of San Javier and Cartagena. The dividing line runs straight across the middle of "the strip", as it is often called by foreign holidaymakers, the northern end belonging to San Javier and the southern part to Cartagena. 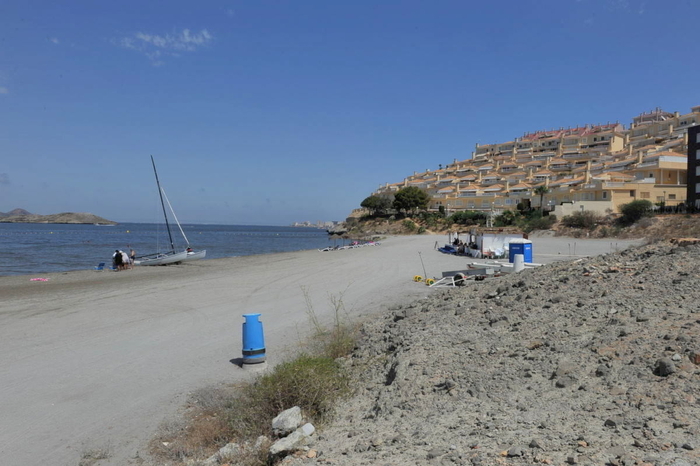 It is important when selecting a beach to understand that the Mar Menor beaches offer shallow and calm bathing conditions, whereas the Mediterranean beaches are wider, longer, windier, and are susceptible to wave conditions and currents. 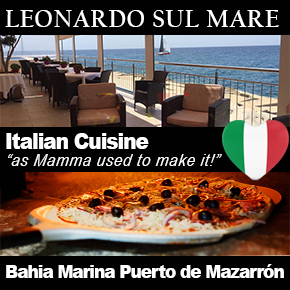 The location of La Manga del Mar Menor beaches is generally defined by kilometre reference. Kilometre 0 is the tourist information point at Cabo de Palos and km 18 is the far end of La Manga by the Esculls de la Llana y Encañizadas, which is where dry land runs out! The remainder of "the strip" is marsh, and inaccessible, before it finally meets the salinas of the San Pedro del Pinatar municipality. This beach is around km 4. 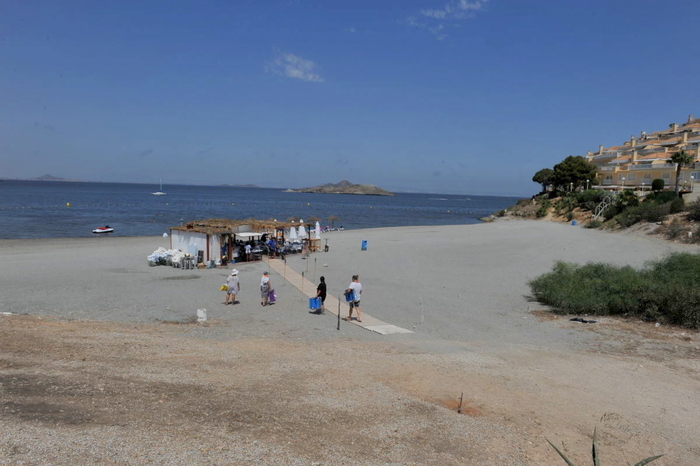 Most of the Mar Menor beaches have very gently sloping shelves, meaning that bathers can walk a considerable distance from the shore and still only be waist high in the water. These shore fringes are also very warm, heating up more than the deeper waters, or the Mediterranean coastline, particularly during the hot summer months. Many beaches are also protected by netting to exclude jellyfish. This creates safe bathing areas for families but also leads to a situation which can be life threatening, as the safety of the beaches results in many elderly bathers bathing alone.This in itself is not life threatening, but every year there are unnecessary deaths when bathers suffer a heart attack, stroke, faint or have a dizzy spell of some sort whilst bathing alone, slipping into the water without anybody else being aware that this has happened. Even though there are lifeguards, accidents happen and every year there are unnecessary fatalities, the simple rule being if you have a medical condition, are taking medication, or are of advanced age, don´t bathe alone, no matter how shallow and calm the water is.